Blizzard last week made the frank admission that multiplayer Diablo 3 can “often feel not worth the effort”. “Even if you enjoy playing with your friends, it can often feel easier and more efficient to play solo,” said Wyatt Cheng. 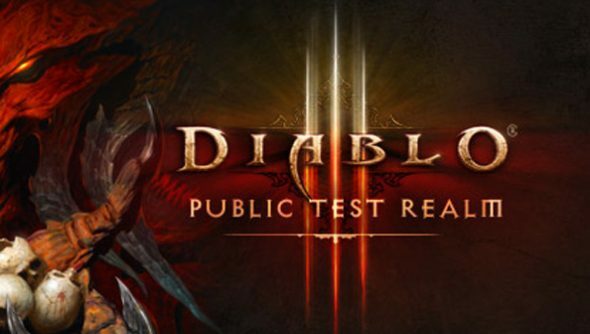 Patch 1.0.8 is released on the Public Test Realm today. It sees the dev team take a few small steps in the direction of better playing in company and, in lieu of the more significant redesigns planned, one big leap towards improving the rewards for doing so. Players will now receive a 10% bonus in Magic Find, Gold Find, and XP for every additional friend they can stand to play alongside in co-op, to a maximum of 30% in a four player game. What’s more, Magic Find and Gold Find bonuses can exceed their previous cap of 300%, and the XP bonus will stack with others found from items and Monster Power. That’s the quick fix. Elsewhere, there are a handful of design tweaks that should make fighting with friends more palatable. Players can now identify all unknown items in their inventories in an instant by speaking to Deckard Cain, or by using the Book of Cain found near the shared stash in every Act of the game. In addition, navigation and cooperation will be made easier by new notifications on the minimap, sent to all players in a multiplayer game whenever a party member engages an Elite monster or Treasure Goblin in combat. Icons will appear over player banners in town to reveal at a glance whether they’re in combat with a monster, Elite monster, or Treasure Goblin. For the rest of 1.0.8’s design and bug fixes, check the full changelog below.